Design and utility patents are not only visual representations of your ideas, they also provide enhanced protection for your invention. This is why working with a trusted litigation graphics support company is important. 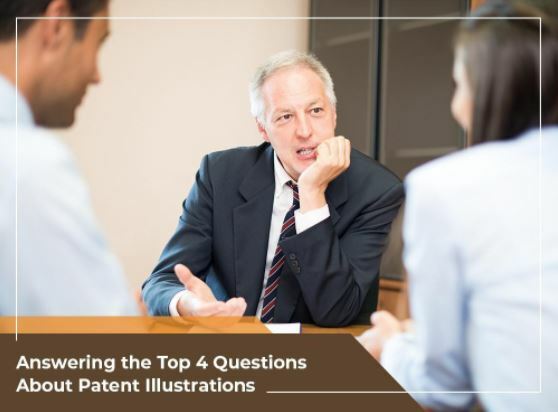 To help you better understand patent illustrations, Legal Advantage answers four frequently asked questions. Question 1: Are Design or Utility Patents Required? Before answering this question, we’ll need to know more about your invention. Is it still in the research or development stage or is it already manufactured? If you’re interested in having an idea, process or methodology patented, you may need a utility patent. On the other hand, if the appearance of your creation is vital to its originality, having a design patent can greatly protect your interests. It’s also possible to acquire both utility and design patents if your invention has both unique functionality and appearance aspects. Question 2: What Are the Legal Rights That Come With Having a Design Patent? Having a design patent means you have the legal right to protect such illustrations from being used, modified or copied for a certain time. With the signing into law of the Patent Law Treaties Implementation Act of 2012, approved patent applications filed on or after May 13, 2015, have a 15-year term. Those granted before this date, however, have a 14-year term. No one can reproduce the same design without your permission during this period. If any individual or group of persons does otherwise, you can turn to a legal support services company to help you file a formal complaint for patent infringement. Question 3: What Does a Design Patent Application Entail? When filing for a design or utility patent, you must include a basic introduction, relevant references and any funding you may have received. A detailed and accurate drawing, description or photograph, if available, of your creation is also needed. You may be asked to enclose a claim and/or an oath stating you’re the original owner of this illustration. Question 4: How Can I Show the Specifics of My Design? Reproduction of your designs through drawings, blueprints and photographs can help. Keep in mind that once you have submitted your patent illustration application, you can’t make changes to it. This is why it’s best to work with a professional and experienced intellectual property company like Legal Advantage. Apart from utility and design patents, we can also assist you with trademarks, IP translation services and more. If you have other questions about design patents, call us at (888) 755-0446 or complete our inquiry form.